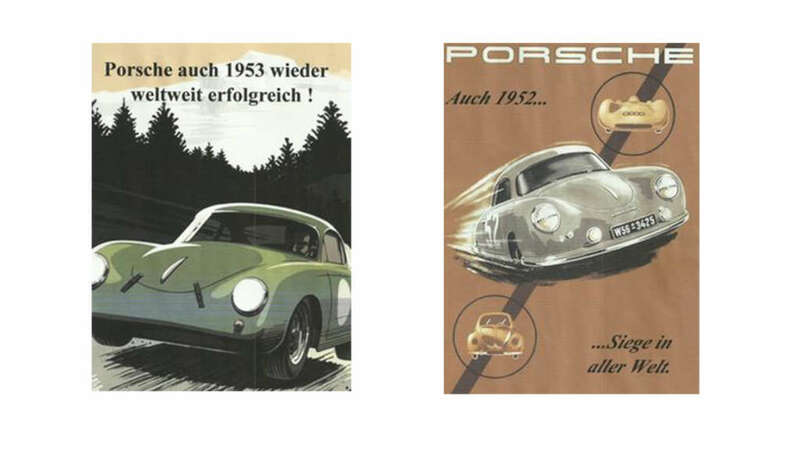 At the very beginning of the Porsche sports car era, the advertisements were adapted to the zeitgeist and the technical possibilities at the time. The victories were highlighted at the motorsport events. 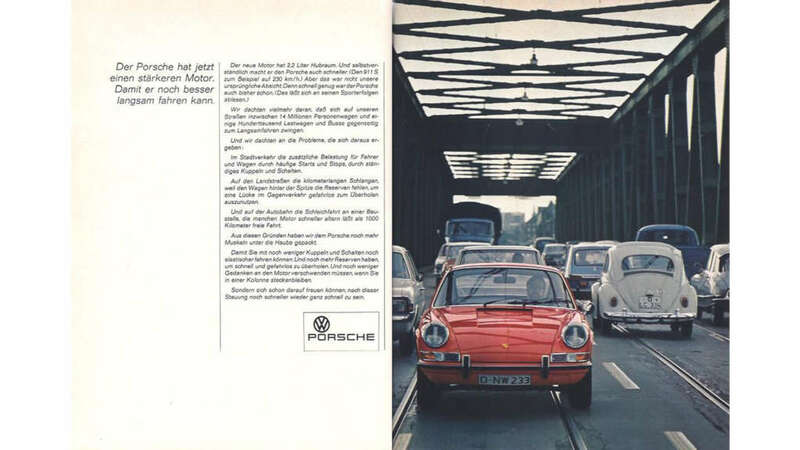 Hard to imagine, but even an advertisement with the theme “drive slowly” there was. At the beginning of the 70s, people were already busy with the rapidly increasing traffic and the crowded streets and highways. It was not always fast. For “creeping” Porsche has now packed even more muscle under the hood. Even fewer domes and shifting. Here is an early, narrow G-model. In the middle of the 70s, nobody needed him, everybody wanted him. 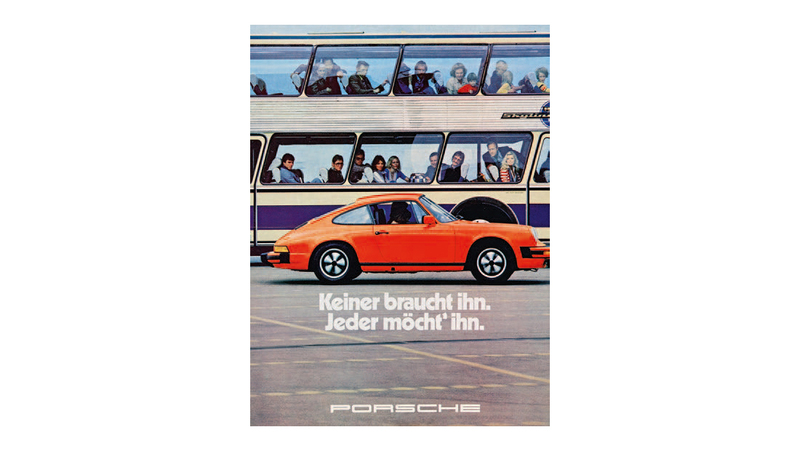 To date, the statement of this advertising has not changed. 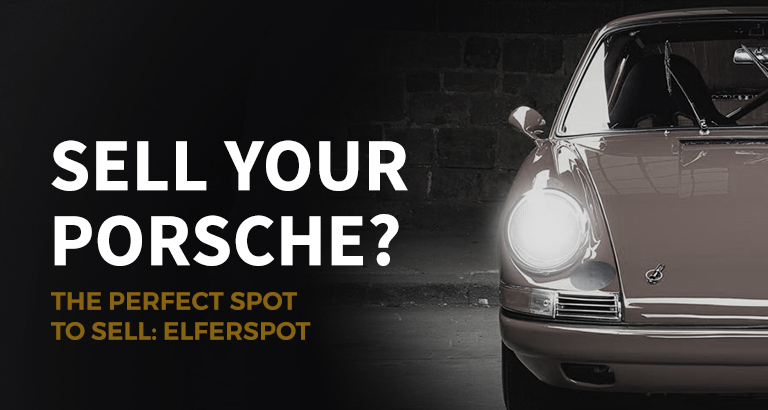 Nevertheless, it must be remembered that at the time a Porsche 911 on the streets was a relatively rare sight compared to today. This is also reflected in the illustrated enthusiasm of the bus passengers. 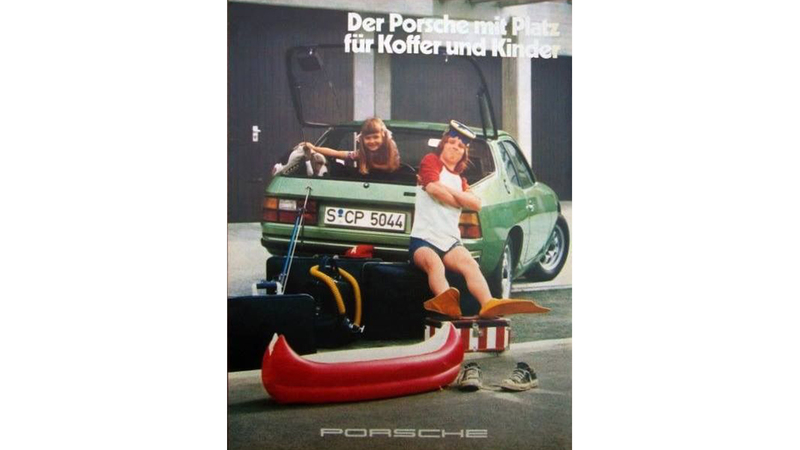 Also a classic from the 70s is the “When I grow up …” advertising. The desires were awakened early. 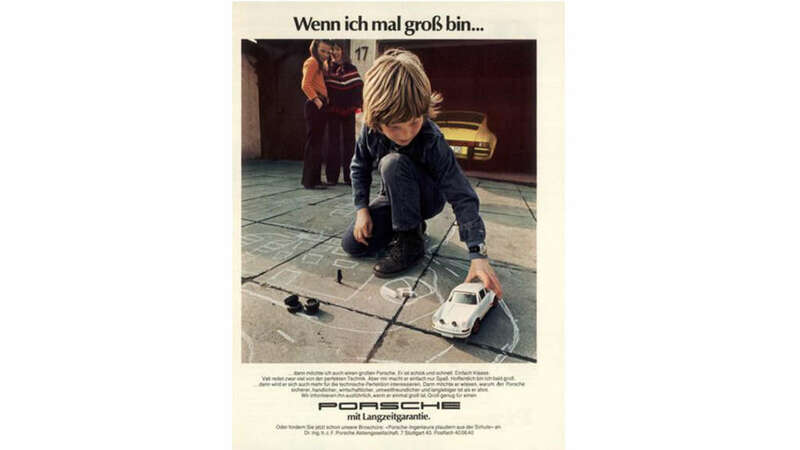 There was hardly a toy car collection without a Porsche. A no go nowadays. 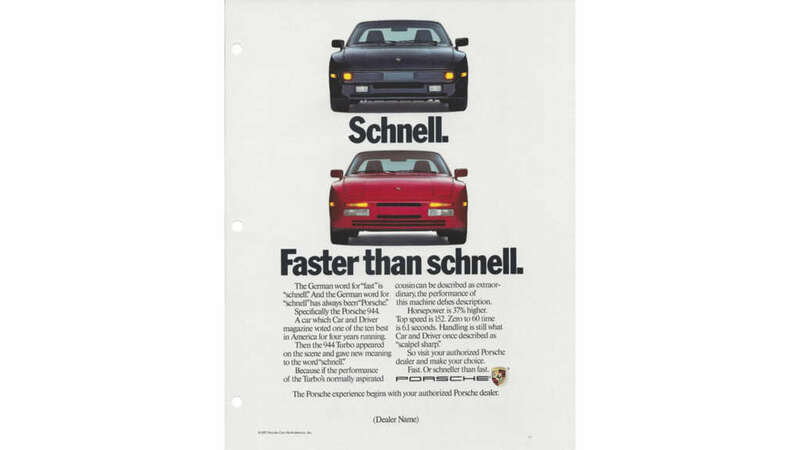 This advertisement would probably no longer be considered politically correct in 2019 and the reproach for sexism would be difficult to refute. 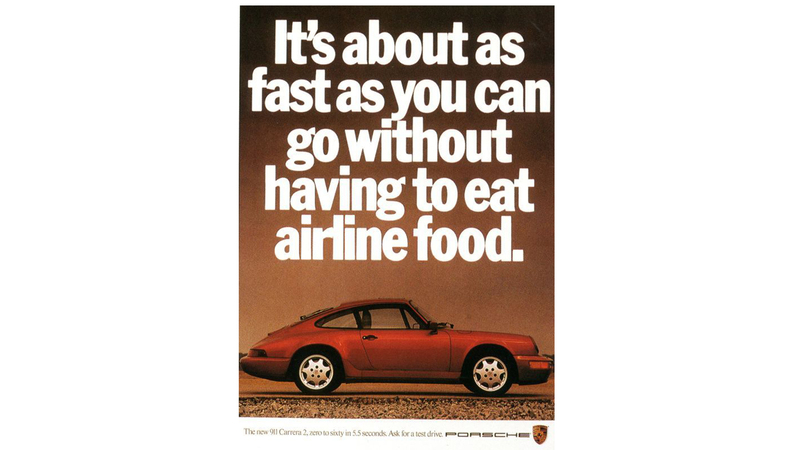 But in the late 70s and early 80s, such advertising was not a big upset. Pretty women and fast cars. An overused cliche, but still effective. One of our favorite commercials from the 1980s. The German word for “fast” has always been “Porsche”. Just lovely. Here, the new 944 Turbo is advertised in the United States very creative. A small sideline on the culinary abysses of some airline. 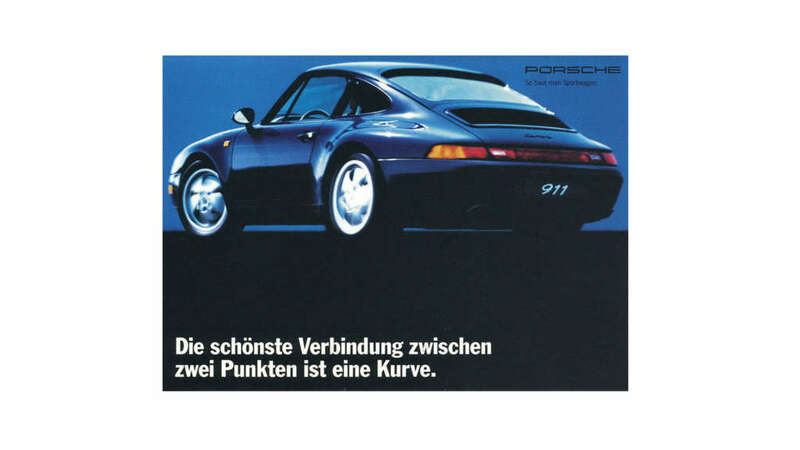 Then rather with the Porsche 964 as fast as possible to get to the destination and then a good meal. What happens if you drive at full throttle for 24 hours? Nothing if it’s a Porsche. Okay, admittedly, not many of us can prove it, but the many Porsche successes at the 24 Hours in Les Mans allow such sayings. 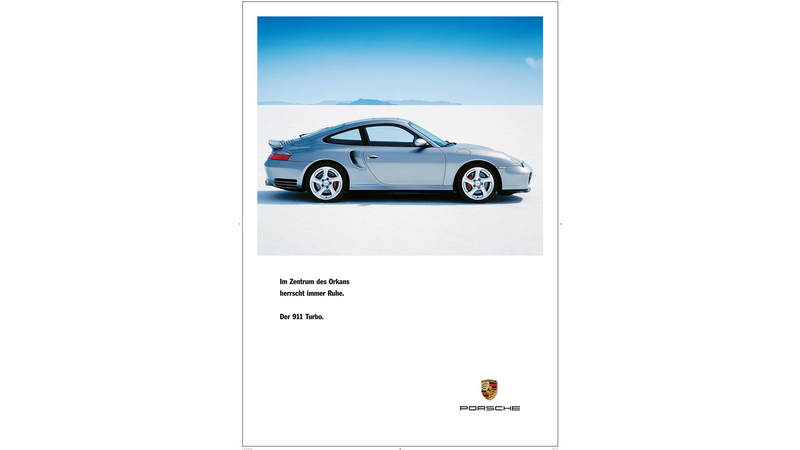 High load capacity combined with durability, that is always deeply rooted in the Porsche DNA. The best connection between two points is a curve. 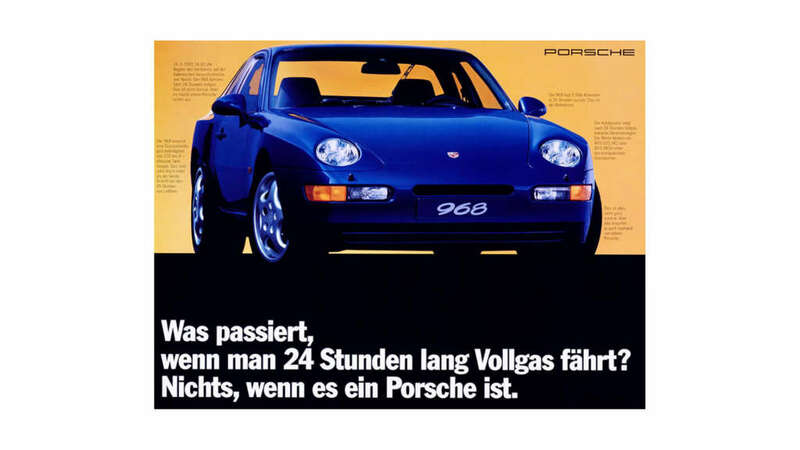 Yes and the most beautiful curves ever has the Porsche 993. It is considered by many to be the most beautiful Porsche 911 ever built. Especially with the wide variants S and 4S we agree with the opinion. Around the millennium, the messages became calmer and more subtle. 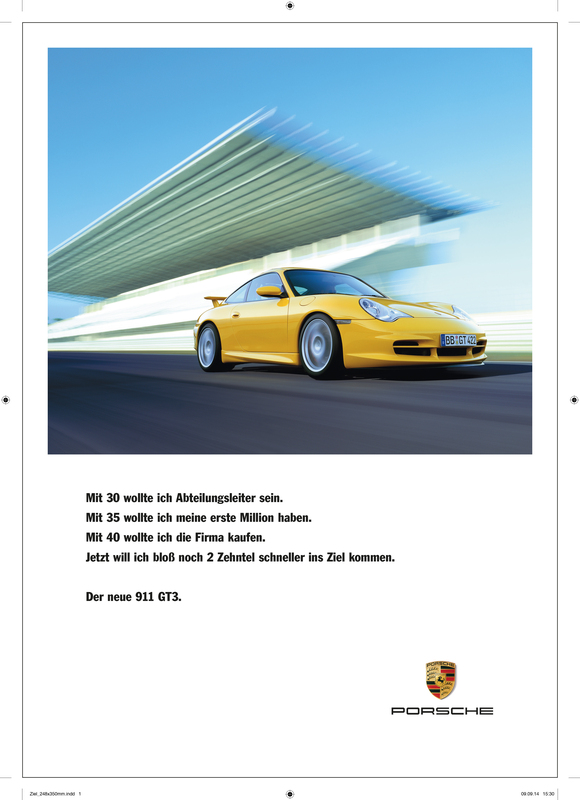 This advertisement for the Porsche 996 Turbo is very reduced, but nevertheless very appealing as we find. At 30, I wanted to be a department manager. At 35, I wanted to have my first million. At 40, I wanted to buy the company. Now I just want to finish only 2 tenths faster. The priorities are changing. Maybe now he wants to slowly roll into the sunset with an old F-model while enjoying the sound of the air-cooled engine. We do not know it.